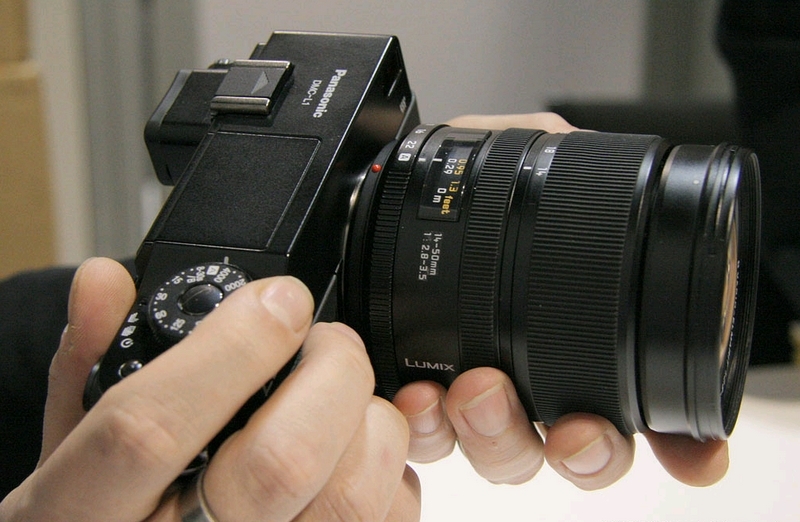 At the opening of Photo Fair in Tokyo, Panasonic announced its first Digital SLR – the Lumix DMC-L1. 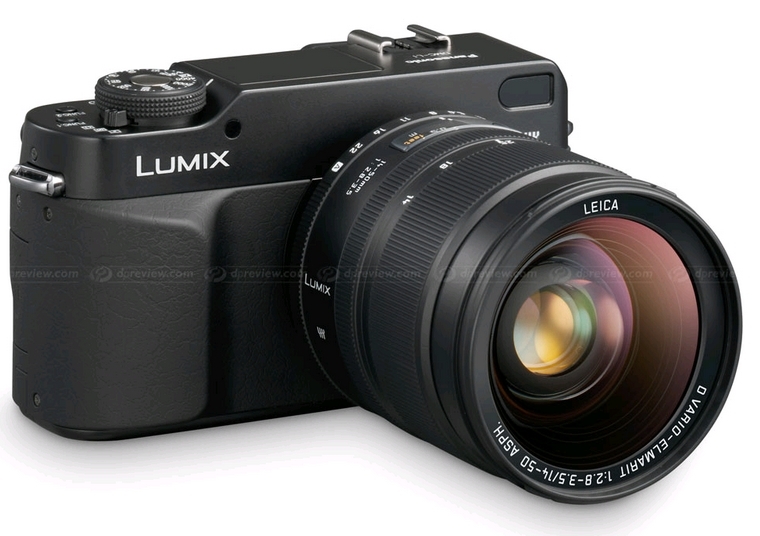 Developed by Panasonic and Olympus, the DMC-L1 is Four Thirds System Digital SLR which share similar features with Olympus E-330 EVOLT. 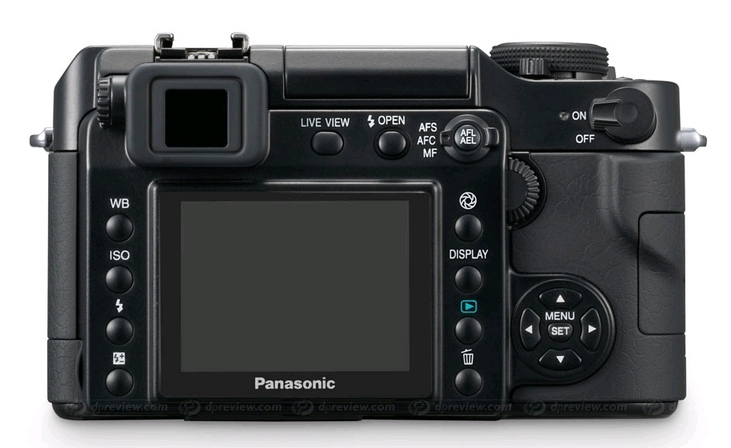 The DSLR comes with a 4/3 type Live MOS, developed by Panasonic, which is 7.5 million pixels. 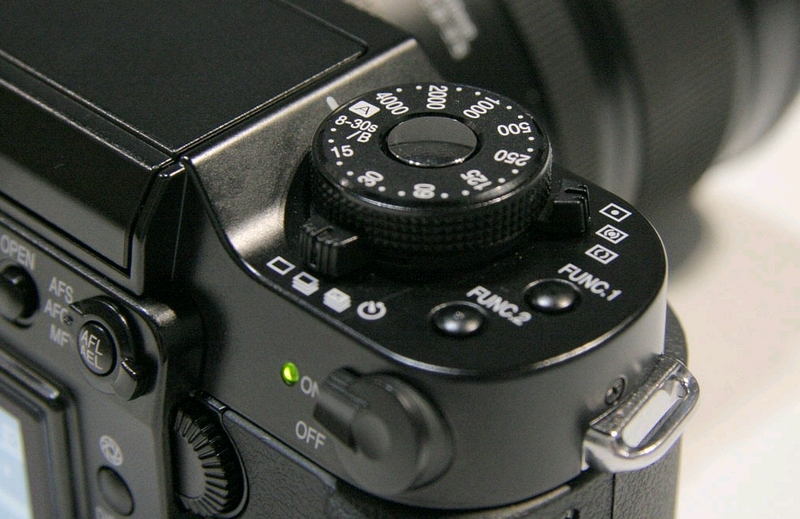 The DMC-L1 benefits from a new LEICA D VARIO-ELMARIT 14-50mm/F2.8-3.5 lens, equipped with an aperture ring, focus ring and zoom ring, for easy, direct aperture setting. 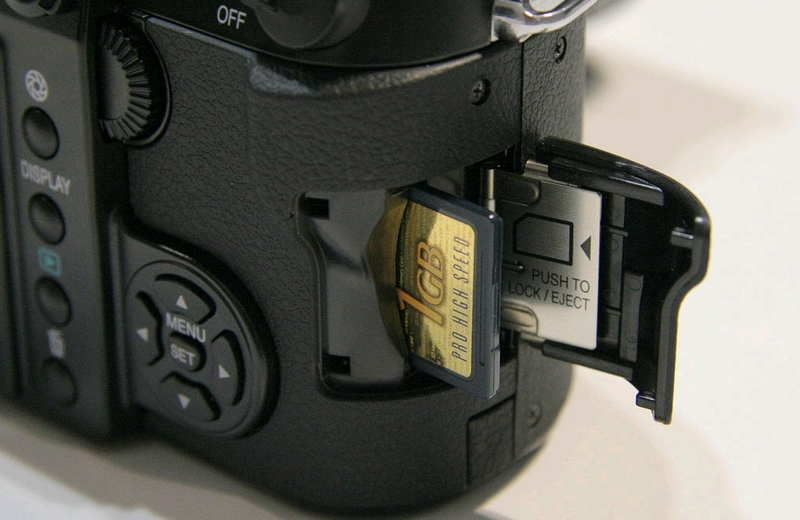 It supports also the new SDHC cards with capacity over 2 GB. The 4/3 type Live MOS sensor with 7.5 million pixels helps capture the beautiful images of a CCD sensor with delicate gradation and a wide dynamic range, whilst suppressing energy consumption as only a CMOS sensor can do. Noise is also minimized thanks to a special processing technology that runs on voltage as low as 5V.